New York, July 19, 2013 – Fashion One Foundation, a non-profit organization dedicated to raise awareness of poverty, charity aid, education and environmental issues, kicks off its Light A Million Homes Project with the distribution of a thousand solar lamp units to families in Palawan, Philippines. Fashion One Foundation and Fashion One LLC representatives traveled to Puerto Princessa, Palawan in Philippines to turnover 1,000 solar lamps to the municipality's Local Government Unit (LGU) as part of the foundation's Light A Million Homes Project. The crew was welcomed and accompanied by outgoing Puerto Princessa Mayor Edward "Ed" Hagedorn as the province's representative to distribute the solar lamps to the residents of San Rafael, Napsan and Cabayugan district, 3 of the remotest towns in the municipality. With no communication signals and no electricity, residents in these towns run a simple life with farming as the main source of income and sunlight as their source of energy. The families use candlesticks or kerosene to light up their homes not only at night but also during the day due to their poorly lit homes where sunlight can't get through. "The use of candles and kerosene for lighting are not only a strain in these families daily budgets, but are also the main cause of accidental house fires in the area," Mr. Hagedorn attests, "I'm so happy that Fashion One Foundation are donating these solar lamps that utilizes a more safe, environmentally friendly and free renewable source of light to our province." Distribution of the lamps was held at each district captains' house, the central meeting point for each town's activities. There are residents that walked 7 kilometers just to receive the lamps, knowing how important this simple commodity is, which will help to improve their livelihood and quality of living. "1,000 homes served, 999,000 to go," Ashley Jordan, Director of Fashion One Foundation proudly announced, "It's a great first step for the campaign and we are looking forward to teaming up with other organizations that share our advocacy to strengthen and capitalize on our efforts to provide solar lighting to impoverished areas around the world." Palawan is known as the last frontier of the Philippines where wildlife still roam and nature flourish. It is home to majority of the flora and fauna species not only in the Philippines, but also the world. The people of Palawan are proud of this and are proactive in preserving their land. Solar energy is a simple yet effective way to help. Let's join the solar power revolution. Donate now at www.fashionone.org/projects/light-a-million-homes.html. 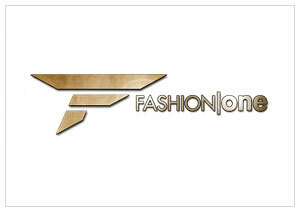 To learn more about Fashion One Foundation and "Light a Million Homes" project and how to contribute or get involved, please visit our website at www.fashionone.org.